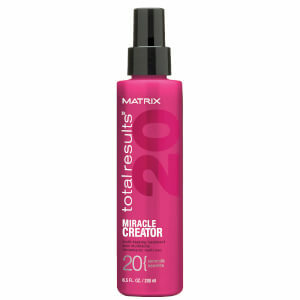 This freezing spray from matrix is formulated with flexi-hold polymers which allow firm hold with natural volume and movement that lasts all day. Apply all over hair as a final touch or on sections to accentuate movement. Alcohol Denat., Dimethyl Ether, Va/Crotonates/Vinyl Neodecanoate Copolymer, Aminomethyl Propanol, Bis-Peg/Ppg-14/14 Dimethicone, Glycerin, Ethylhexyl Methoxycinnamate, Cyclopentasiloxane, Limonene, Butylphenyl Methylpropional, Hexyl Cinnamal, Linalool, Alpha-Isomethyl Ionone, Benzyl Salicylate, Citronellol, Benzyl Alcohol, Geraniol, Parfum / Fragrance. The Matrix Vavoom Mega Hold hairspray is the best I have ever tried (and I have tried them all ..). This is my absolute favourite, and I hope you'll give it a try. I can guarantee that you will be 100% satisfied. Why wait? I think this Matrix Vavoom Mega Hold Non - Aerosol Freezing Spray is amazing. I can now go out in the wind and rain with complete confidence, knowing that my hair will stay in place come what may. My hair style last for days which is a bonus and I don't need to visit the hairdressers anywhere near as often. I am passing on the message to friends who ask how I keep my hair looking so great.